Anthony Santander homered and drove in four, but the Toledo Mud Hens overcame a late deficit to rally past the Tides 9-5 in 10 innings Saturday night at Harbor Park. Norfolk led the contest 4-1 entering the eighth inning before the Mud Hens stormed back to send the game to extras. Toledo pushed across a run in the eighth inning off of Lucas Long, then knotted the contest at 4-4 in the ninth on a two-run homer by Bobby Wilson off of Branden Kline. Toledo broke the game wide open in the 10th, plating five runs - all with two outs - off of Luis Ysla (0-2). The Hens got RBI singles from Dawel Lugo and Brandon Dixon to take a 6-4 lead, and Jacob Robson capped the outburst with a three-run homer that extended Toledo's advantage to 9-4. Santander had given the Tides the early lead with a three-run homer off of Mud Hens starter Tyler Alexander, his first round tripper of the season. He also added a 10th inning RBI double in the setback as he extended his hitting streak to four consecutive games, over which he's batted .316 (6-19) with seven runs batted in. Chris Lee was tremendous in relief as he made his Tides season debut, firing four scoreless innings out of the bullpen. He allowed just one hit and two walks while striking out five, including punching out the side in the sixth inning after the first two batters reached safely. Lee threw 41 of his 66 pitches for strikes in back of Sean Gilmartin, who allowed one run on four hits over three innings in a spot start. Ryan Mountcastle, the #2 prospect in the Orioles system, doubled and singled twice to register his first three-hit game at the Triple-A level. Bostick added two singles in the contest for Norfolk, which has dropped eight of its first 10 games to open up the season. The Tides and Mud Hens will wrap up their four-game series on Sunday afternoon at Harbor Park, with first pitch set for 1:05. Yefry Ramirez (0-0, 0.00) gets the start for Norfolk and will be opposed by right-hander Kyle Funkhouser (0-1, 9.95). Sunday is Bark in the Park at Harbor Park, as fans can enjoy the game with their four-legged friends. All proceeds from the dog tickets will be donated to a local dog charity. 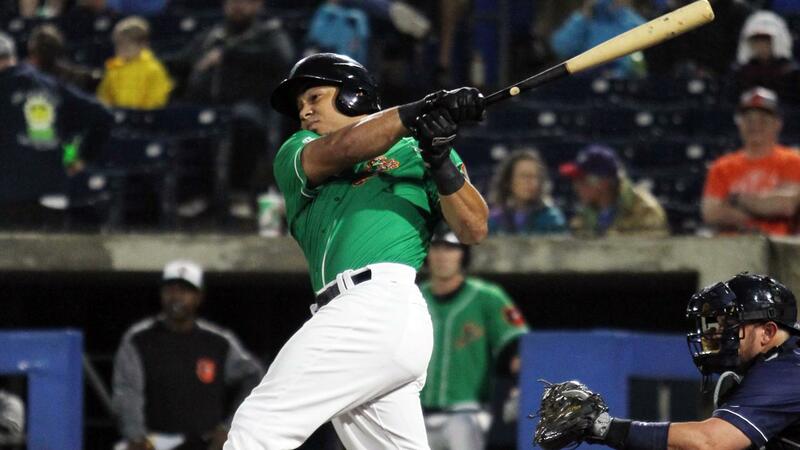 Notes: The start of the game was delayed 20 minutes due to rain…Jace Peterson tripled in the second inning, giving the Tides a triple in their third consecutive game…Norfolk has scored 25 runs over the last four contests after plating just 10 runs over the first six games of the season…DJ Stewart saw his six-game hitting streak snapped…Mason Williams doubled and scored, extending his hitting streak to four games.